Norma Lehr a former nurse and health food store owner from the Bay area has four children and five grandchildren, and now lives in Auburn, California in the beautiful Sierra foothills. 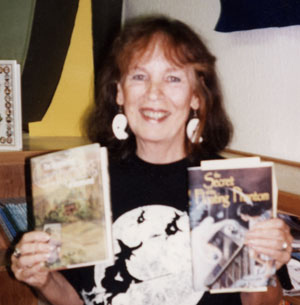 She is a multi-genre author of short stories, a middle grade ghost series and an adult supernatural novel, DARK MAIDEN, Juno Books, imprint of Wildside Press. Her current Abby Reynolds theatre mystery series, TIMESTEP TO MURDER, and DEADLY SHUFFLE are available from CAMEL PRESS and AMAZON.